When Gertrude Stein returned to her hometown of Oakland and couldn’t find her childhood home, she famously, gnomically said that there was ‘no there there’. Stein was lamenting the growth and urbanisation of Oakland and the ‘painful nostalgia’ she felt. The Northern Cape is not Oakland; there’s quite a lot of there there and most of it isn’t going anywhere for the foreseeable future. The province is, however, poised for a fair bit of change and a clump of new investments in mining and energy. Is its political landscape facing a similar reconfiguration? By PAUL BERKOWITZ. 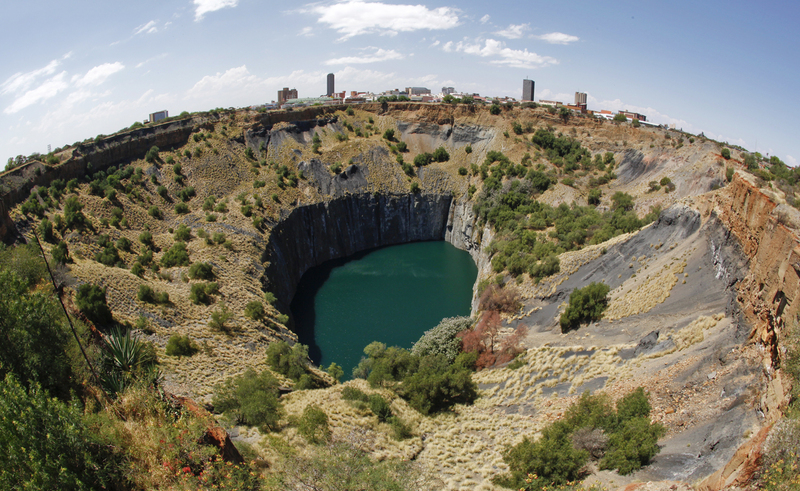 The Northern Cape is a sort of inverse of Gauteng. The latter only takes up a sliver of the total land mass of the country but is home to about a quarter of us. The former sprawls across the north-western corner of South Africa but is home to barely 2% of the population. The Northern Cape is not just a very big place physically but also metaphorically. It stands for the harsh, desolate beauty of the Kalahari which early missionaries couldn’t tame; the home (if not the birthplace) of the original South Africans; the outer limits of civilisation and safety. The tiny town of Pofadder is our Timbuktu, our back-of-the-beyond place where no sane person would willingly go. Sure, there are a couple of large towns and small cities. There’s Kimberley, home of diamonds, the provincial government and a future university. There’s Upington and the neighbouring stretches of the Orange River. There’s De Aar. There’s the north-east part of the province, prime agricultural country bordering the North-West. Apart from these nodes of development you’d be hard-pressed to find many towns with a population of more than ten thousand people (equivalent to Sandton City on an end-of-the-month weekend). What is the attraction to politicians? The Northern Cape only accounts for five of the 200 Parliamentary seats chosen through the provincial vote. There are about 600,000 registered voters – a tenth of the Gauteng bloc. Maybe the answer lies in the metaphor of the place. The people and the Parliamentary seats aren’t there for the taking but those huge chunks of the map, festooned in your party’s colours, are appealing. Most of us are easily seduced by the visual and we are prone to mistaking the picture of the thing for the thing itself – in this case we assume that land mass and surface area is the same thing as real political power. The ANC has a clear majority in the province, but the 61.1% the party achieved in 2009 was the lowest for all provinces bar the Western Cape. The DA has gained steadily over the last three national/provincial elections but much of this growth has come through the decline of the NNP. COPE is still the official opposition in the province, with 15.9% of the 2009 vote. It’s risky to compare the 2009 and 2011 results too closely. Fewer parties contest municipal elections and the opposition parties tend to do a bit better. If we assume that all the erstwhile ID voters will follow their representatives to the DA, then the DA will be looking to improve on 18% of the vote (and not 13%). Unless COPE can hold its ground in May, its value as an opposition partner could be limited to local government, where the opposition (COPE, DA and two independents) currently run four local municipalities. These are in the central and western parts of the province, where there are particularly few people and where the ANC or opposition coalition governs with a majority of one seat. For the DA, the Northern Cape represents the next leg of growth, pushing outward from the Western Cape. In the past the party has talked up the province – along with the Eastern Cape and Gauteng – as its next targets after the Western Cape. Recently it’s tended more towards laconism than loquaciousness, so you probably won’t get an official target out of any party hacks. If we assume that that 18% of the vote is the 2009 reference point then the party can’t be happy with anything under 20%. The ANC in the province is strong and fairly united (compared with, say, the Eastern Cape or North-West) but its top brass is heavily implicated in a high-profile fraud case. On the other hand, it is the long-standing, unmoving incumbent in a province that is about to see an explosion in investment: investment in renewable energy, astronomical exploration and manufacturing. There’s also the new university in Kimberley to crown it all off, to say nothing of the shale gas that gets so many people so very excited (if not all for the same reasons). If the party can translate this investment into jobs, education and development then it can still put some distance between itself and the opposition. But that’s in the future. One story that’s come out of the province in recent weeks is that both the ANC and DA have been campaigning pretty hard, literally going the extra mile to reach the most remote votes. The ANC shouldn’t lose the province, although this election will be the closest yet. The problem is that small populations and low voter turnouts are risky for the incumbent, and risk makes a politician’s teeth itch. So the campaigning will continue for the next two weeks. After the votes are tallied one or other party will try lay claim to the myth of the Northern Cape and paint its gang colours over the map. Maybe one day the ANC will feel nostalgia pricking behind the eyeballs, although probably not this time around.